Proving once and for all that mice are more powerful than foxes, Disney today bought 21st Century Fox. I’m not entirely sure of the implications but I gather the Simpsons will soon be joining the Avengers. Until then we have Star Wars, and by “then” I mean “the end of the universe.” For Episode VIII, Disney hands writing and directing duties over to Looper‘s Rian Johnson, because if anyone can handle such a monumental project it’s the guy responsible for Bruce Willis’ last good performance. Ever. Johnson proves himself more than up to the task, delivering a spectacular sequel that takes our characters in some unexpected directions. 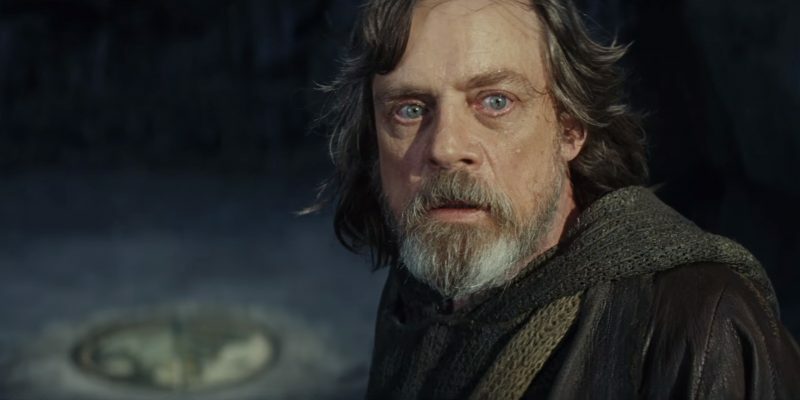 The action picks up where we left it, with Rey (Daisy Ridley) finding Luke Skywalker (Mark Hamill) on a planet where he’s been standing for a Womping 15 years. The Force Awakens‘ job was to restore respect to Star Wars, which it accomplished with aplomb but never strayed far from base. The Last Jedi gives the franchise room to stretch its muscles, subverting Star Wars tropes while deepening the characters that Episode VII introduced so strongly. Compared with the original trilogy’s fairly basic good-vs-evil approach to characterisation, The Last Jedi plays with much more complex personalities and even improves upon old ones. Let’s face it, making Luke Skywalker into an interesting character is no mean Fett. And compared with the prequel trilogy, it’s nice to see the characters making mistakes instead of the writers. I mean writer. Every character (and there are lots of them) is written and cast with great attention, giving us wonderful performances from Mark Hamill, Adam Driver and what appears to be the late Hugh Hefner as Supreme Leader Snoke. Meanwhile the dearly missed Carrie Fisher shines alongside her daughter Billie Lourd, whose hair is worn in buns as a tribute similar to the earmuffs her character (the best character) wears in Scream Queens. Even BB-8 is given so much to do that I half expect Disney to announce a BB-8 solo movie called Master BB-8. Or maybe not. One plot strand is slightly weaker than the rest, but the only other problem is the distracting abundance of cutesy CGI creatures. While these have always been a Star Wars staple, they’ve never been a particularly popular one, and using the Ewoks as any sort of template is a Wookie error. I guess the cuddly toy sales are too much for the Greedos to pass up. I’m sorry but the gratuitous use of wacky creatures in Star Wars really riles my Rancor. That’s just me being an old misery Hutts about what is undoubtedly an epic and satisfying blockbuster. 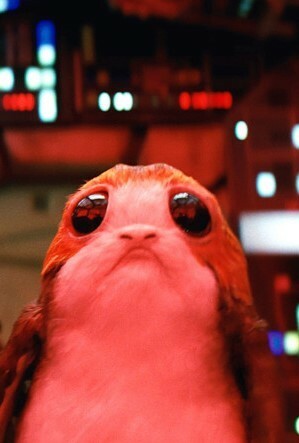 The Last Jedi achieves a successful balance of light and dark, intimacy and scope, and the quality of the music and visuals go without saying by this point. The result is a film that’s as well-Leia’d as it is good-Luking.